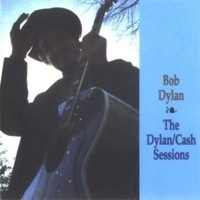 As mentioned a couple of weeks ago in Bob Dylan :: After The Crash (1967-1970), back in 2005 AD posted the unreleased tracks from Bob Dylan and Johnny Cash’s 1968 sessions. With the Legacy reissue of Johnny Cash At Folsom Prison and the October release of Bob Dylan’s Bootleg Series Volume 8 (more on that later) a re-post felt both warranted and appropriate. This is a true peice of Americana — two iconic masters of their craft conversing with one another via song. Recorded throughout 1969 on three separate occasions, these recordings mark an important historical collaboration between two American poets/musicians. Even a casual fan of either artist should at least give these a cursory listen. Great stuff. Thanks for those! Two of my favorite artists of all time. Fantastic! THANKYOU THANKYOU THANKYOU !! As always, a great post. I was only familiar with “Girl From The North Country”, so to hear all of this is truly a treasure. Will the future have artists of this stature doing things together? Or, has the best already happened? Wow, Either you were reading my mind, or you check what people search for… I read the post about the Johnny Cash legacy edition yesterday and searched high and low for these tracks… Thanks so much for putting them back up! Technically, these sessions are from 1969.
this was one of the first “bootlegs” i ever got from BNP (Blanks & Postage). don’t think i’ll ever be doing that again! a musical gift ……. bless you! I m looking forward to next UPdate! Thanks! I remember you had these up before. In my stupidity, I didn’t download them then. thanks for putting them back up. I do have a question – Why wasn’t an official release ever made of these? or what is the story behind these? Was it just them hanging out and having some fun in the studio or did they really plan on putting out an album, and it just never happened? Thanks for the gem.I recall seeing some of this on a video of the J. Cash show somewhere. According to bobsboots in your “Details” link, shouldn’t “One Too Many Mornings” be track # 1? Was this not made available for download for a reason? Yes, it is an incredible recording! Thank you for sharing. Only thing better would be Pogues/ Dylan. Anyone? Thank you so much for posting this. Great music is a great gift indeed. This is classic great American music. Very cool. I’m new to MP3’s though so I have a very basic question. I can hear the songs by clicking on them but is there a way I can also download them to an MP3 player? I told you it was a basic question. Any help? Thank you! This is a wonderful end to a perfect Friday! Does it get any better? I enjoyed streaming these thru the Yahoo Mediaplayer today, and my co-workers dug the playlist as well. Thanks a lot for bringing this stuff to my attention. I would like to have the album. Where can I either purchase or download it? Atop the tracks, I see “DOWNLOAD:”, but none of the ways I’d ordinarily download an mp3 seem to work. I visited emusic, as per the ad at the bottom of the tracks, but they indicate they don’t carry any Bob Dylan albums, and their search window doesn’t recognize any “Cash/Dylan Sessions”. Nothing on Amazon. What’s the nifty trick that’ll get these into my library? Incredible.. how have I not heard this before? Thank you.. ! 32 Damon- Right click the track, save as. Voila! I agree there is at least one more track, “somewhere”. I recall a cinema film with a title along the lines “Johnny Cash, a man, his world and his music” which included a duet (with BD) singing “One too many mornings”. IÂ´m sure it was from this time. It was in a recording studio, rather than on the set of the TV show. Hence the earlier date listed there (on the website, mentioned in post 22 above). I must second Mark’s question: where is the original track #1, “One Too Many Mornings”? Pingback: Bob Dylan and Johnny Cash Colab | Practice Attack! Thanks for the tunes, Drunkard; and thanks for the tip KM — I don’t have a “right click” on my MacBook, but I found the key combo to get the job done. i do not have a “right click”either, what is the “key combo” that works? I love Johnny Cash – can’t thank you enough! Pingback: The Heart Is A Lonely Hunter « What goes in the hole comes out the hole. Hold down the Control key, and, while holding it down, click on the link. A menu should pop up where you can choose “Save File As” or something like that (each browser uses slightly different terminology). In general control-clicking will do the same thing as right clicking, so it’s a useful Mac skill to cultivate! Damn! I missed it. Maybe it’ll come back. Bandwidth overload I guess. Found the post too late, now none of the tracks are available. If someone managed to snag them – could you please, please, share them on torrent? Thanks! why do musicians go pop when they get old? lou reed? dylan? bring back quinn! 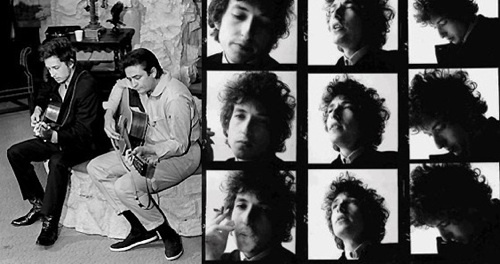 Good day, I would like to know where I can receive information on how to acquire usage rights/licensing for this image of Johnny Cash and Bob Dylan that was used in this article? or the source of the image? I want the song “Careless Love” SO BAD and I can’t find it anywhere! I think walk the line is an awesome movie, it shows the great work of jonny cash in a great way and is an adequate way to pay him tribute. why do musicians go pop when they get old? I miss Dylan and his songs, I remember in my youth that I always played his songs with my friends. what a wonderful and awesome that day for me, reminiscing.